Lionel Barat / Kymzo Design, Gilles D’Auzac de la Martinie, Château-Biston Brillette, tous droits réservés. 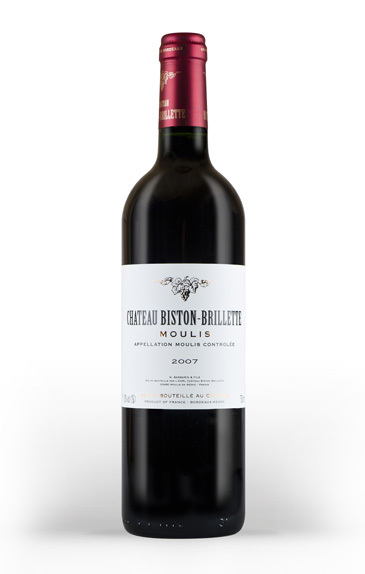 This www.chateaubistonbrillette.com website is owned by Château Biston-Brillette, whose head office is in Moulis – 33480 – Gironde – France. The website content consists of the general architecture, texts, sounds, pictures and graphic charter making up the site. Use of the website, or copying all or part of it, irrespective of the means used, is forbidden without prior authorisation and constitutes infringement punished by French law (articles L 335-2 et seq. of the French Code of Intellectual Property). You can request authorisation to copy items by filling in the contact form on the website and by indicating the terms of your request. We would be delighted to grant you approval, provided that your use of our items respects the content of the Château Biston-Brillette website and cannot under any circumstances jeopardize the reputation of the Biston-Brillette brand. Excessive alcohol consumption can endanger your health. Enjoy in moderation. Not for sale to minors.Consumption of alcoholic beverages during pregnancy, even in small quantities, can have serious consequences for the health of the child.